What is the weather going to be like tomorrow? There’s an app for that. Don’t know what to cook for dinner tonight? There’s an app for that. Need help with your kid’s homework? There’s an app for that. 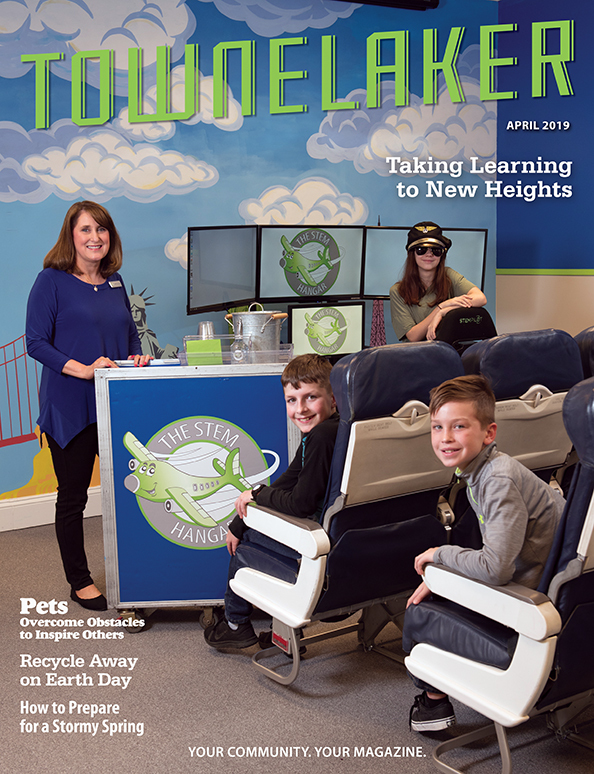 Want to know what’s going on in downtown Woodstock, where the best parking spaces are, and get updates on new events in the area? Well, now there is an app for that too. This app is free for anyone to use and don’t worry android users – they made a version for you too. This application is extremely user friendly and keeps you aware of what is going on in Woodstock, Ga this weekend that we may have otherwise not been able to discuss. 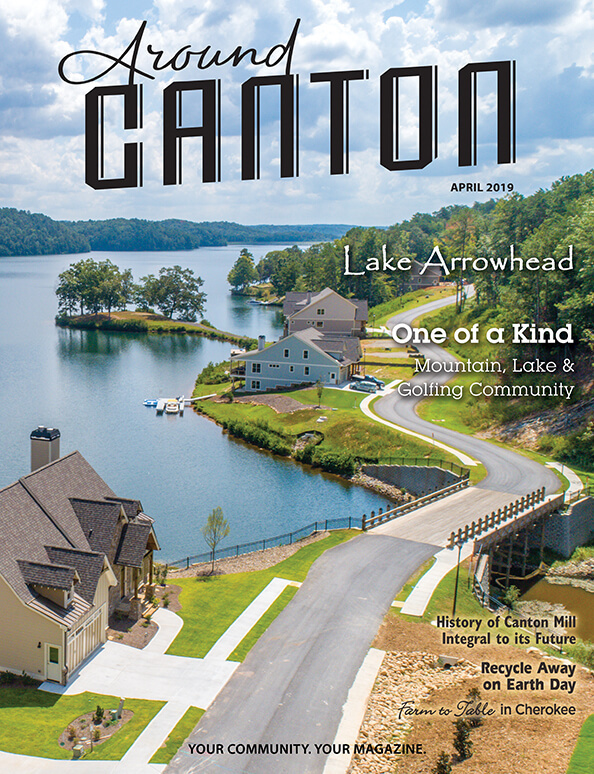 It has great recommendations on lodging, dining, attractions, and more. You’ll be able to see where most tourists stayed during their visit to historical Woodstock, Ga. There is even a great section called “local deals” that yes – as you could guess – would contain local deals, coupons, or other discounts for you to access. Our favorite part of this app is definitely the Events tab. 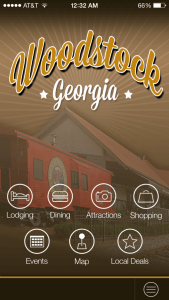 There is so much to do in Woodstock, Ga on any given night, this app helps keep it all in one place without you having to dig up material from lots of different sources. Our least favorite part of the app is that their lists have not been divided into categories. 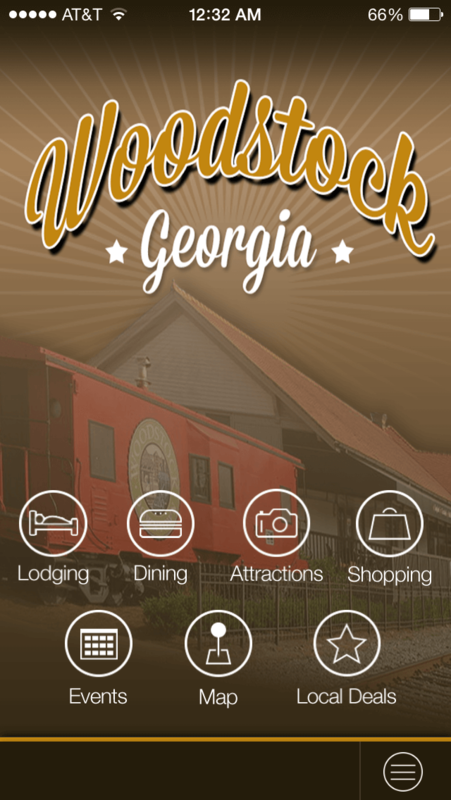 So, next time you are looking for parking, can’t decide what to do on Friday night, or you want to try somewhere new to go eat, download the Woodstock, GA app! 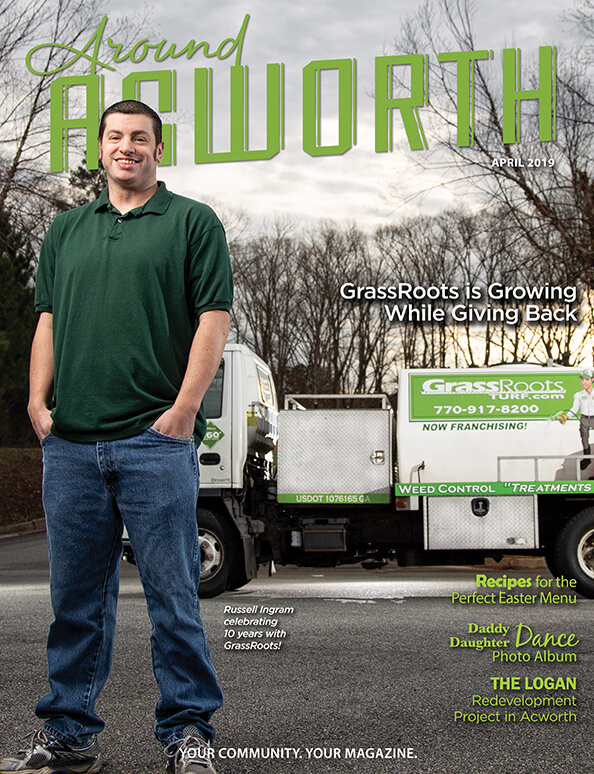 It will guide you through everything that Woodstock, GA has to offer right in the palm of your own hand.